We hope you will save the date for this exciting 3½ day training on the most pressing barrier to independent living: housing. We will explore a wide range of solutions to expand accessible, affordable, integrated housing in your communities. From funding, to building partnerships, to the truly new and innovative, we will cover it all. You won’t want to miss this! This CIL-NET on-location training is part of Our Homes: IL-NET’s series of trainings and resources on accessible, affordable, integrated housing for Centers for Independent Living (CILs) and Statewide Independent Living Councils (SILCs). The lack of accessible, affordable, integrated housing remains the biggest obstacle as CILs implement the new core services of transition and diversion. Expanding housing is a key component of the provision of CIL core services and successful outcomes for consumers. Registration will open in early March. Check your inbox and ncil.org for updates. An Update from the Transportation Subcommittee: Disability Provisions Included in FAA Reauthorization! On October 5, 2018, the President signed the Federal Aviation Administration (FAA) Reauthorization Act of 2018 – H.R. 302 (PDF) into law. This bill reauthorizes the FAA and other programs through 2023, and we are thrilled to report that the final bill includes several important disability provisions NCIL and other disability rights groups have been advocating for. The inclusion of these provisions is a huge win! One exciting provision in the new law is the establishment of an Advisory Committee on the air travel needs of passengers with disabilities. The Advisory Committee will be established to assess and address barriers in the air travel experience. This Committee will be comprised of people with disabilities, national disability organizations, aviation industry employees, wheelchair manufacturers, and national veteran’s organizations representing disabled veterans, and we are excited for this work to get started. At the beginning of the year, a woman from Texas with cerebral palsy filed a lawsuit against Uber after she was denied service on 25 separate occasions during 2016 and 2017. She was left stranded without rides home from the grocery store, and was late to an important family gathering. An Uber driver in Boston told a blind woman that she was not allowed to enter his car, and her legally blind boyfriend was dragged down the street after the Uber driver rolled up the window with his arm inside as he tried to open the car door. A blind man from Tennessee was denied a ride home from an animal hospital. All of these incidents have occurred at different times, on different dates, and in different places, but one common theme prevails: all of these passengers were denied rides because of their service dogs. The Department of Transportation has posted an Enforcement Notice titled Airline Reporting of Data on Mishandled Baggage, Wheelchairs, and Scooters on the DOT website. That notice addresses the obligations of large U.S. airlines to report to the Department mishandled baggage, wheelchairs, and scooters data following the enactment of the FAA Reauthorization Act of 2018. Access to housing is one of the top disability issues across the country. Did you know that more than half of housing discrimination complaints filed with the federal government are because of disability discrimination? Today, we need your help to defend disability rights and access to housing. “Fair housing” is the term used for enforcement of equal access to housing, without discrimination. 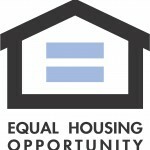 The U.S. Department of Housing and Urban Development (HUD) is currently waging an attack on fair housing by opening up its own rule on Affirmatively Furthering Fair Housing (AFFH) to revisions that could damage the disability housing rights we have won so far, and your voice is needed. We need to flood HUD with comments supporting the 2015 rule on Affirmatively Furthering Fair Housing (AFFH) that exposes and addresses our nation’s history of government-led segregation and inequitable community investment, and requires jurisdictions to create policies and programs to address it. The 2015 rule also requires real community engagement by HUD, and that must also happen. Use our template letter (Word document), modify with your own thoughts and comments, and submit to HUD via regulations.gov by 11:59 p.m. Eastern Monday October 15th. Be sure to edit the [bolded] portions with your organization’s information before submitting. Encourage others within your network to do the same. For those of you representing yourself as an individual, you can also use the same link to submit comments. We urge you to focus on explaining why it is important to end discrimination in housing. Comments are due by midnight on Monday, October 15. Thank you to our friends at Access Living for providing this information. Use NLIHC Report as Tool for Advocacy! The National Low Income Housing Coalition has released a report, Getting Started: First Homes Being Built with 2016 National Housing Trust Fund Awards (PDF). As many of you know, the National Housing Trust Fund was first created in 2008, but not funded until 2016. It is a program that provides “new money” to affordable housing, and unique because it focuses most of the money on Extremely Low Income households, those at or below 30% of Area Median Income, and those who rent. $174 million was allocated to states and territories in 2016, and the fruits of that allocation are finally showing in many states. Despite the funding being released in 2016, many states are lagging because they were not ready to move. This report is an opportunity for advocates to see what is happening elsewhere, to compare how your state is doing. For example, 24 states specifically included people with disabilities as a beneficiary of the trust fund, with 5 states choosing to focus exclusively on housing people with disabilities. Some states chose to spread out the money with other funding sources such as Low Income Housing Tax Credits, while others chose to focus their money on fewer units for more deep subsidies. This webinar is part of Our Homes: IL-NET’s series of trainings and resources on accessible, affordable, integrated housing for CILs & SILCs. Housing is such a persistent barrier to independence for so many people with disabilities. It often seems that no matter what we do to “find” housing, it just is not enough. Join us this September as we explore how Centers for Independent Living (CILs) and Statewide Independent Living Councils (SILCs) can be involved in expanding housing options. We will share the policies that impact housing choice, identify funding sources for housing, and suggest collaboration strategies and partners that could lead to new housing opportunities in your community. This is the first of a series of trainings and resources that IL-NET will be offering on accessible, affordable, integrated housing. Don’t miss this kick-off event!